In a newly-published study, researchers find that forensic experts rendering opinions may unconsciously bias their results toward the parties that employ them. The results have potentially broad application across a wide variety of traditional forensic disciplines. How objective are forensic experts when they are retained by one of the opposing sides in an adversarial legal proceeding? Despite long-standing concerns from within the legal system, little is known about whether experts can provide opinions unbiased by the side that retained them. In this experiment, we paid 108 forensic psychologists and psychiatrists to review the same offender case files, but deceived some to believe that they were consulting for the defense and some to believe that they were consulting for the prosecution. Participants scored each offender on two commonly used, well-researched risk-assessment instruments. Those who believed they were working for the prosecution tended to assign higher risk scores to offenders, whereas those who believed they were working for the defense tended to assign lower risk scores to the same offenders; the effect sizes (d) ranged up to 0.85. The results provide strong evidence of an allegiance effect among some forensic experts in adversarial legal proceedings. If these results stand the test of time, the implications are potentially great, As discussed in the National Academy of Sciences’ landmark 2009 report “Strengthening Forensic Sciences in the United States: A Path Forward,” most forensic disciplines (outside of DNA identification and those that use traditional chemical analysis) rely to a significant degree on human interpretation to generate conclusions. The results of the Murrie et al. work suggest that all of these disciplines may be influenced by a very important piece of context — who pays for their work — regardless of which side of the case that is. The study would seem to support one of the central recommendations of the National Academy of Sciences report: “removing all public forensic laboratories and facilities from the administrative control of law enforcement agencies or prosecutors’ offices” (p. 24). Are Police Concerns With NYPD Recording Interrogations Valid? 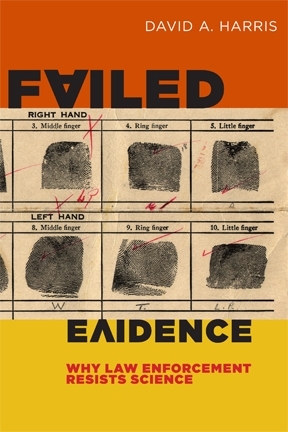 At the roll out event for Failed Evidence at John Jay College in New York on Thursday, Sept. 20, I spoke about the book, and a star-studded faculty panel, moderated by former U.S. Attorney Zachary Carter, gave the audience astute and insightful comments. The event took place just after NYPD Commissioner Ray Kelly announced an expansion of the Department’s very small pilot program of recording interrogations, so police will record all interrogations in cases of murder or sexual offenses, in every precinct. This change in NYPD policy came up in my presentation, and in the panel’s comments. I favor recording of interrogations and said so, but panel member Eugene O’Donnell, a former NYPD officer who now teaches at John Jay, voiced reservations. ( The recording of the event is not yet available, so I am working from memory; if I get this wrong, I hope that Professor O’Donnell or someone else who was there will correct me.) Professor O’Donnell’s main concern with recording seemed to be that detectives performing interrogations would curtail their questioning, or even not attempt much questioning, if they knew they were being recorded. I heard this same concern raised the next day, in an email I got from another attendee. This gentleman, who like Professor O’Donnell is also a former NYPD officer, said that he had raised the issue of recording interrogations with a friend who is an active NYPD detective, and that the friend said the same thing Professor O’Donnell had: that he would do fewer interviews if he was going to be recorded. I disagree; the experience of police departments that have recorded for years (beginning with Alaska in 1985 and Minnesota in 1984) doesn’t support this fear. “The Case for Recording Police Interrogations,” published in 2008 by Thomas P. Sullivan and colleagues, carefully works through all of the objections police have raised to recording. According to Sullivan, none of them hold water, but more interestingly, the idea that detectives faced with a recording requirement will somehow hold back or stop interrogating suspects does not even come up when talking to police who record. On the contrary, the article contains a long list of the benefits that police get from recording interrogations: a complete record; protection against bogus charges of misconduct or illegalities like failure to administer Miranda warnings; fewer motions to suppress and more guilty pleas, to name just a few. I have had the privilege of meeting a lot of police officers and detectives, and it is my strong impression that a recording requirement will not deter them from doing their jobs.